Tomorrow there will be something special at the Town & Country Farmers’ Market. For the first time in twenty years, McClendon’s Select has planted fall corn. With our new farm land at the Cancer Treatment Centers of America we have had the space to do a crop of fall corn this year. 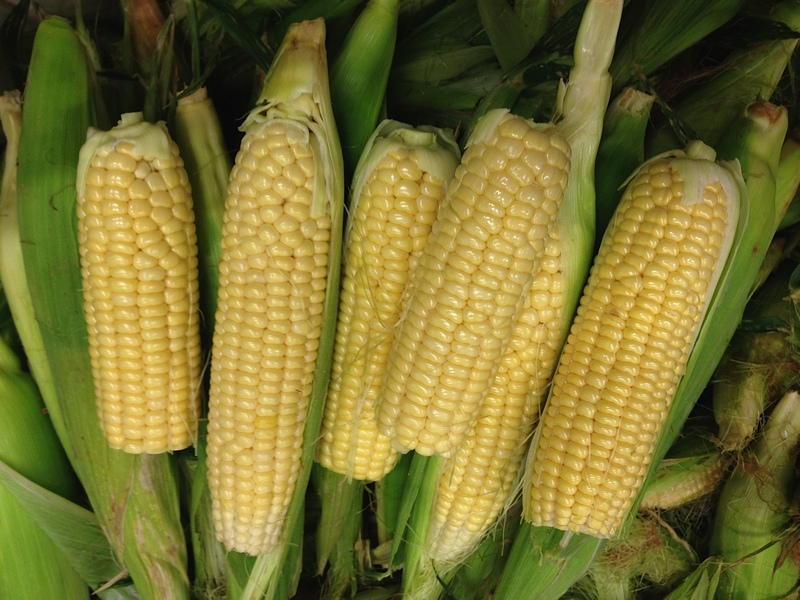 Sweet corn in the fall is a smaller variety than you find in the summer. The Sweetie 82 variety, or Sugar Baby as we affectionately call it, produces ears being 2-3 inches smaller than summer varieties, but it is much sweeter and more tender and has a wonderful flavor. The window to pick this corn isn’t very long, but we are expecting to have it at the markets through Thanksgiving. Make sure to come early, if you bought corn this summer, you know how quickly it sells. Located on the southeast corner of Central Avenue and Bethany Home Road. On the grounds of the North Phoenix Baptist Church. Located on the Southwest Corner of 1st Street & Brown in Scottsdale. Brown is one block East of Scottsdale road. 1st street is two blocks South of Indian School road.